Clean your camp! Only this week, the clearing of debris in your camp will be easier than ever before: 20% off on removing dirt from your camp!!! Doc took his DeLorean into the future, but something went wrong! 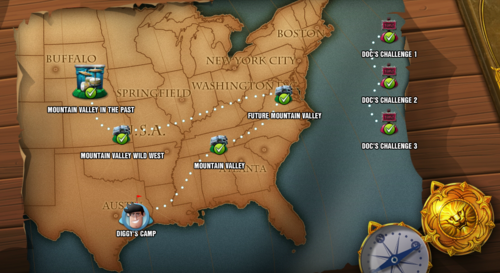 Join him and Mikey MacFly on a wild chase through time to fix the time continuum as we know it. Watch out, this year's Halloween is creeping up on you and zombies are trailing right behind. Join Diggy and a team of famous zombie slayers to stop the outbreak. From October 04 until October 11, all the gifts you send to your friends will be doubled! Let's be productive - only this week will you get a second item from every finished production cycle in your camp for free! 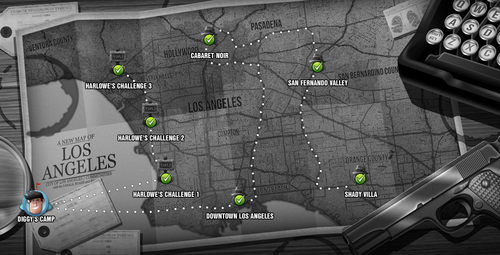 Are you ready to join detective Phil Harlowe on a chase after a mysterious case? Slip into your trench coat and delve into the noir world in this year's detective story full of unexpected twists. Repeatable locations will award 10x the XP bonus for their clearing and a special Autumn postcard. 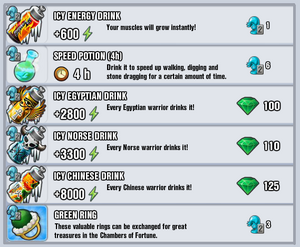 Players can use these to buy camp equipment, speed potions, consumables or green rings, and there is an achievement for collecting the postcards. Our world has been invaded by a horde of dangerously cute alien pets! 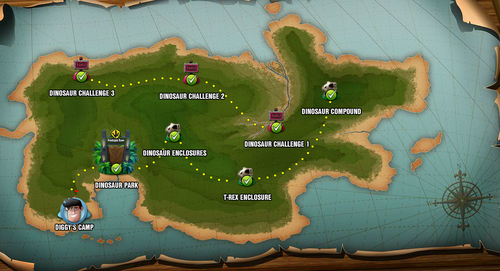 Can you help their leader catch them all before chaos ensues? Grab your kayak, sharpen your javelin and put on a swanky swimsuit. This year's Summer Games are coming to Rio and the organizer Anton needs your help! Another strongman contest is here! Summer edition this time. 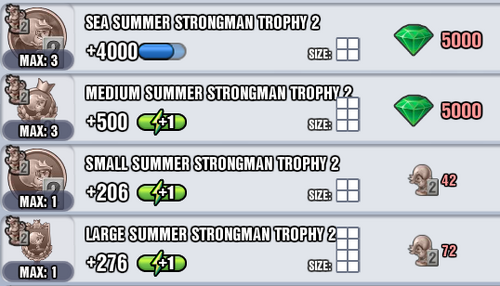 Dig as far as you can, collect summer strongmen trophies and get rewards! Note: Rolling portions of the event, counts are based on minimum rolls. 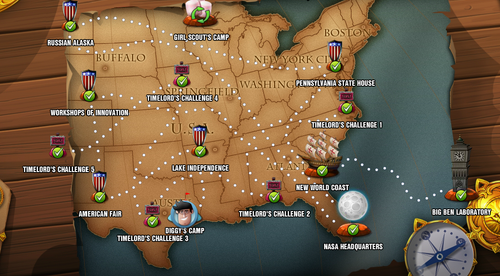 Help Timelord and travel back in time to stop an evil villain from destroying important events in the American history! This week, the debris tiles in your camp won’t be ready for what’s coming their way: 20% off on removing dirt from your camp! Sherwood Berries - The key ingredient for making Sherwood Pudding. 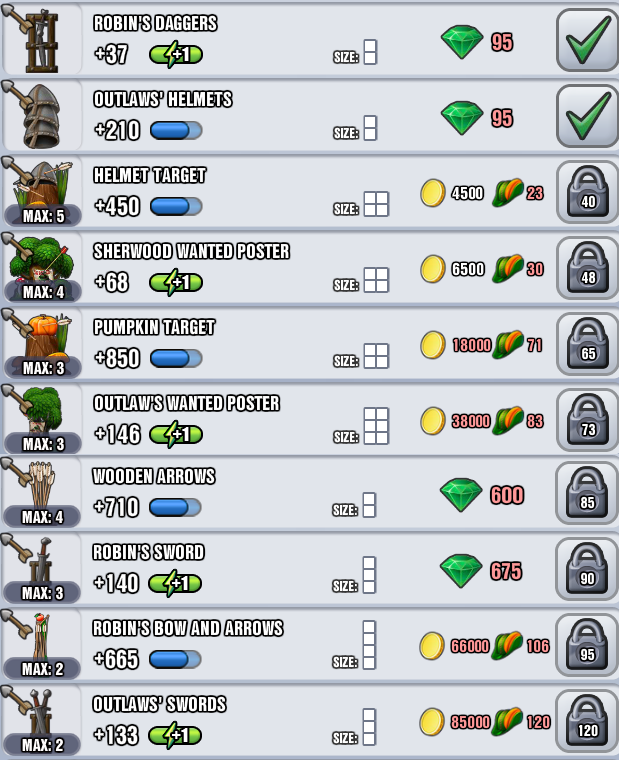 Robin Hood's Hat - 167 Available in the event mines, collect for camp equipment. Easter is in full bloom, but from the depths of the prehistoric past, an evil snowman rises and threatens to destroy it all. Join the news reporter April and an army of cute animals to save the day. 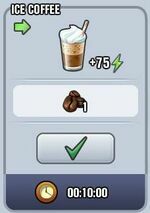 Coffee Beans - The key ingredient for making Ice Coffee. 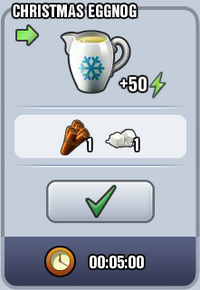 Snowdrops - 345 Available, collect for camp equipment. A giant meteor flew through our atmosphere and crashed into the earth! 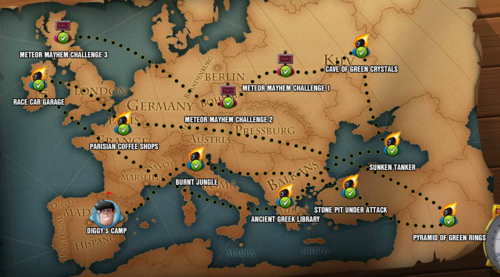 Help Astronomer Alfons find all the fallen pieces scattered around the world. 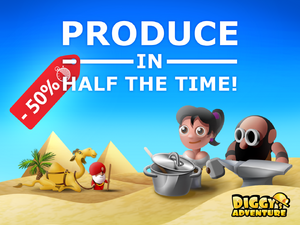 This week the production in your camp will be 50% faster! 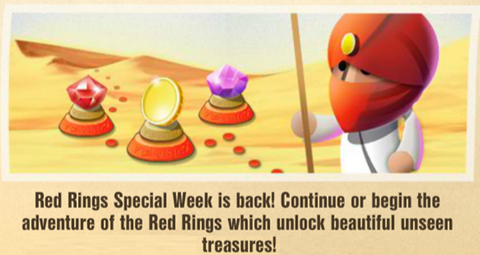 This week, sending out caravans, creating alloys and cooking in your camp will be 50% faster. Magic, helpful animals and a royal ball. This Valentine's day, help Cinderella escape the evil clutches of her stepmother and find the love of her life. Beat the winter laziness, Strongmen's week is here! Will you prove that you're a mighty digger? Test your strength with Diggy. 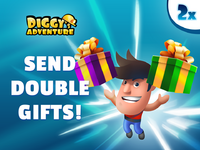 From January 19 until January 26, all the gifts you send to your friends will be doubled! 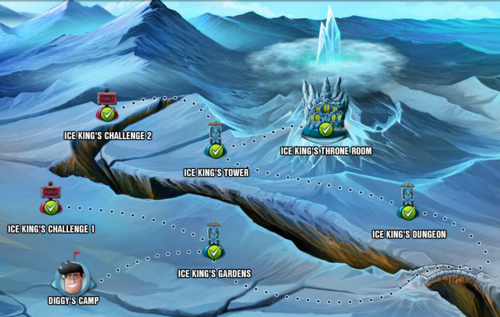 Ice King, the master of mischief and pranks, has challenged Diggy to a battle of wits! 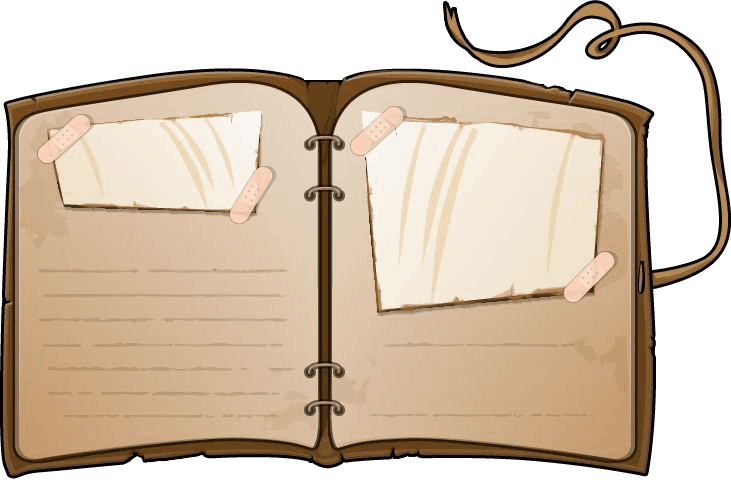 It's up to Diggy to complete a series of challenges in this slightly shorter story and free a kidnapped princess in distress. This page has been accessed 179,891 times.